After Alcohol, Fighting Insider talks about the vague impact of Marijuana in this week's MMA Diet 101. United Nations estimated that about 162 million people use Marijuana annually. The hemp plant is used to induce hunger, decrease pain, boost creativity, have fun, or to decrease anxiety. Marijuana contains more than 400 components, making researches and experiences with the plant diverse and divided as its politics. In 2010, Harvard University reported that an active ingredient in Marijuana can cut tumor growth up to 50% in common lung cancer. But recently, their research revealed that smoking Marijuana can increase the risk of psychosis and schizophrenia in teenagers. Simply put, researches will never be able to test all 400+ chemicals on broad sample of subjects in order to get any consensus. In a 1996 article for The Atlantic, renowned poet – Allen Ginsberg – wrote: “Allen Ginsberg’s quote here” His belief that Marijuana can enhance creativity is widely shared in every known medium — including MMA. Eddie Bravo, founder of 10th Planet Jiu-jitsu, wrote a highly controversial endorsement of Marijuana in his Mastering the Rubber Guard. In 2007, Nick Diaz’s match against Takanori Gomi was ruled a No Contest because the Nevada State Athletic Commission found that the fighter was positive for Marijuana. However, Nick Diaz’s coach – Cesar Gracie – cleared that Nick Diaz has a Marijuana prescription for his ADHD. The list of celebrities and athletes that were linked to this controversial hemp plant goes on and on. So the question is this: How can Marijuana really impact someone’s performance? Here are some answers based on ESPN’s article in 2007. The idea that Marijuana has no performance enhancing potential cannot be taken seriously, since people do not know enough. As of the moment, we can only rely on common sense and educated guesses. 1. Inhaling impure air or anything that burns has shown potential damage to the lungs, and it increases the risk of various cancers in some cases. So if marathon runners can smoke a pack of cigarettes per day without decreasing their performance, so can athletes who puffs marijuana. 2. 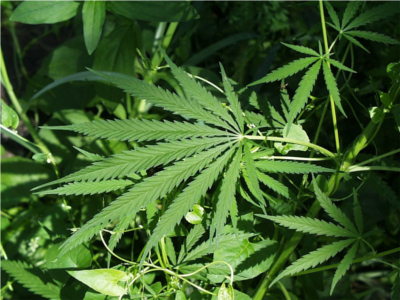 Marijuana may negatively impact short-term memory, reaction time and motor coordination. This can result to deteriorated athletic function at maximum levels. 3. Eating small amounts of Marijuana may share many of the same health benefits of munching on other edible green plant. However, it might be nothing more than what a dash of spinach could provide. For sure, the political bias blinds people on both side of the Marijuana issue. So before being radical, spend some time walking in the middle. Be open and aware of all viewpoints.